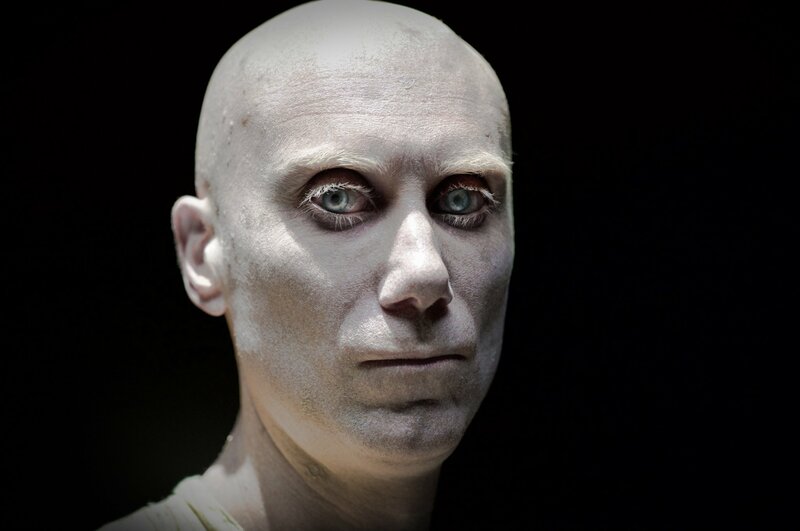 Caliban is a mutant played by Stephen Merchant in the Logan (wolverine) movie. He has the ability to sense and track other mutants. He has a very distinguished style with vintage accents. Extremely pale skin is probably the first thing you need to start to look like Caliban. This make-up is perfect, while you are at it don't forget to temporary dye your eyebrows in platinum blonde. 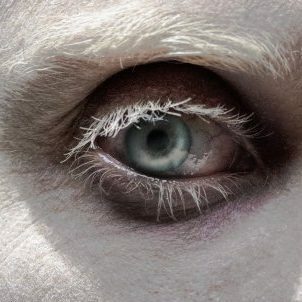 Caliban has greyish eyes with notes of green and blue. This contact lens gives a very similar effect. 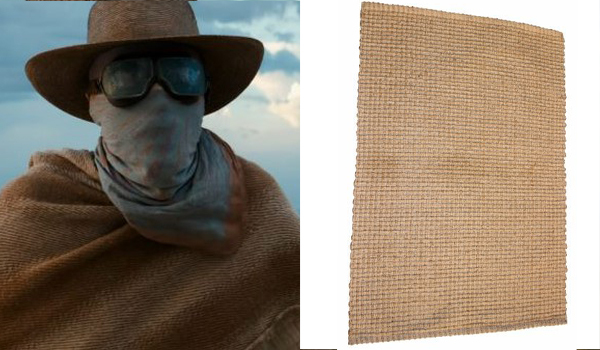 Caliban's straw hat. Get rid of the chin cord to perfect the look. The goggles are custom made for the show but those are a pretty close match, especially if you add a blue mirror tint to them with an adhesive film. Also, if you have a motorcycle they are definitely worth it. 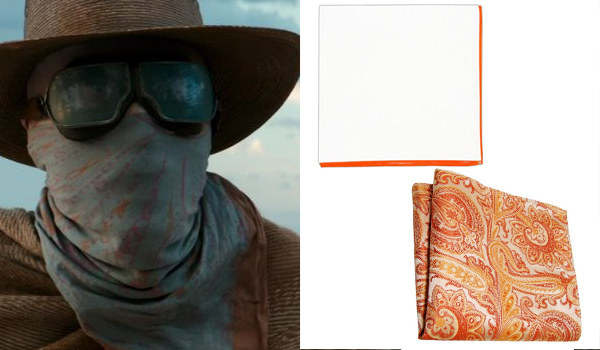 The scarf that Stephen Merchant wears for his Caliban role in the Logan movie is a white and orange foulard/bandana. This apricot handkerchief is a close match, but if you have drawing skills you can make a movie replica from this pocket square.